What Are The Health Benefits Of Cilantro? Cilantro, also known as coriander, Chinese parsley, and dhania, is a herb belonging to the family Apiaceae. Its low in calories and contains no cholesterol. Its deep-green leaves contain a good amount of antioxidants, essential oils, vitamins, and dietary fiber, which may help reduce LDL (bad cholesterol) levels in the blood. Cilantro, also known as coriander, Chinese parsley, and dhania, is an herb belonging to the family Apiaceae. Scientifically known as Coriandrum sativum, the plant is native to the regions of southern Europe, North Africa, and southwestern Asia. The plant is packed with essential oils, acids, minerals, and vitamins. Learning how to use fresh herbs and spices, like cilantro, while cooking can help add flavor to food. Cilantro can also cut down on sodium intake and improve one’s quality of life. Cilantro has been studied as a natural water purifier because it has the ability to combat and suppress lead and heavy metal accumulation in rats. Sears conducted a review for The Scientific World Journal and concluded that cilantro can enhance mercury and lead excretion. The leaves also have antioxidant and antibacterial properties. Antioxidants neutralize cancer-causing substances that mutate the DNA. In addition, cilantro has been found to inhibit the growth of Salmonella. The active substance in cilantro, called citronelol, has the ability to clean the mouth. This speeds up the healing process of mouth ulcers and helps in freshening up one’s breath. Cilantro can help individuals with indigestion, especially for those who do not feel so well after a heavy meal. Studies have shown a decrease in the incidence of indigestion when cilantro was added to the diet. The vitamin K and calcium content can help prevent diseases, like osteoporosis, and protect bone strength and durability. Vitamin K functions in retaining calcium in the bone matrix and reducing urinary excretion of calcium. High blood pressure is a significant and rising problem in the United States. Cilantro may help individuals alleviate this problem. It has been shown that cilantro could help reduce blood pressure in individuals suffering from hypertension, or high blood pressure. Specific substances from cilantro seem to interact with calcium ions and the neurotransmitter acetylcholine, relaxing blood vessel tension. Cilantro is also a great source of potassium. A high potassium to sodium ratio can lower the top value of the blood pressure, known as the systolic blood pressure. Also, a high potassium to sodium ratio is very helpful in cleaning or washing out any toxic deposits in the kidneys. When trying to get more blood into the body, cilantro helps in a significant way. Cilantro could help individuals with anemia. Low iron levels in the blood can result in shortness of breath, heart palpitations, extreme fatigue, and a decrease in brain function. Cilantro is a wonderful source of iron, which helps the body make more red blood cells to carry oxygen. Individuals with diabetes have found the health benefits of cilantro. Research has suggested that cilantro increases the secretion of insulin from the pancreas, which in turn increases insulin levels in the blood. This can help lower dangerous sugar spikes. Some time ago, smallpox was a scourge across the world. The reliable cilantro had been and continues to be helpful in preventing and even curing smallpox. Essential oils from cilantro are rich in antimicrobial, antioxidant, detoxifying components and acids that aided in the fight against smallpox. It also provided a soothing effect when used on smallpox patients. Abascal, K., & Yarnell, E. (2012). Cilantro—Culinary Herb or Miracle Medicinal Plant?. Alternative and Complementary Therapies, 18(5), 259-264. Chithra, V., & Leelamma, S. (1999). < i> Coriandrum sativum</i>—mechanism of hypoglycemic action. Food chemistry, 67(3), 229-231. Farhana, K., Islam, H., Emran, E. H., & Islam, N. (2006). Toxicity and repellant activity of three spice materials on Tribolium castaneum (Herbst) adults. Journal of Bio-Science, 14, 131-134. Jabeen, Q., Bashir, S., Lyoussi, B., & Gilani, A. H. (2009). Coriander fruit exhibits gut modulatory, blood pressure lowering and diuretic activities. Journal of ethnopharmacology, 122(1), 123-130. Kerton, M., Newbury, H. J., Hand, D., & Pritchard, J. (2009). Accumulation of calcium in the centre of leaves of coriander (Coriandrum sativum L.) is due to an uncoupling of water and ion transport. Journal of experimental botany, 60(1), 227-235. Rajeshwari, U., & Andallu, B. (2011). Medicinal benefits of coriander (Coriandrum sativum L.). Spatula DD, 1(1), 51-58. Sears, M. E. (2013). Chelation: Harnessing and enhancing heavy metal detoxification—A review. The Scientific World Journal, 2013. Craig, W. J. (1999). Health-promoting properties of common herbs. The American journal of clinical nutrition, 70(3), 491s-499s. Craig, W. J. (1997). Phytochemicals: guardians of our health. Journal of the American Dietetic Association, 97(10), S199-S204. Wong, P. Y., & Kitts, D. D. (2006). 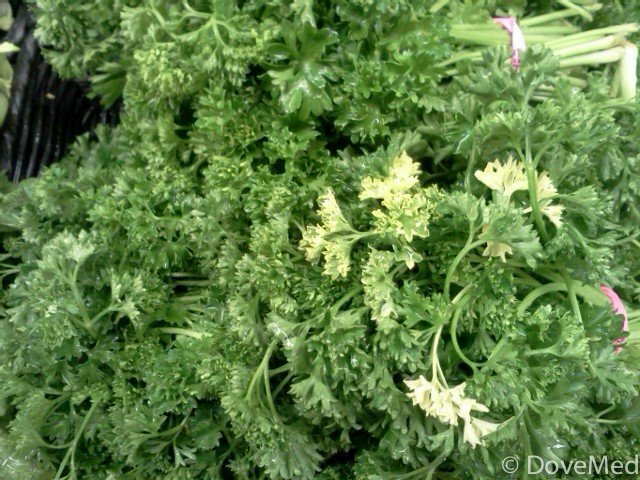 Studies on the dual antioxidant and antibacterial properties of parsley (Petroselinum crispum) and cilantro (Coriandrum sativum) extracts. Food chemistry, 97(3), 505-515. Fan, X., Niemira, B. A., & Sokorai, K. J. B. (2003). Sensorial, nutritional and microbiological quality of fresh cilantro leaves as influenced by ionizing radiation and storage. Food Research International, 36(7), 713-719.